If a homeowner leaves a trash can out, or doesn’t cut back weeds – most homeowners associations will issue a fine. But if a renter in a Peoria neighborhood does it, they can be evicted by their HOA. Landlord George Botea thinks that’s downright crazy. “What they’re essentially doing is making it impossible for any homeowner to rent in this neighborhood,” said Botea. Botea is a Valley homeowner/landlord who has refused to sign his HOA’s Crime Free Lease Addendum, which would give his HOA the power to evict his tenant if they violate any crime or community rules. It also requires landlords to run an extensive background check on tenants, then pass the private information to the HOA. Valley attorney Nat Nickele said the HOA requirements are a clear abuse of power and a violation of the Landlord Tenant Act – so he’s filed a formal complaint with the state. 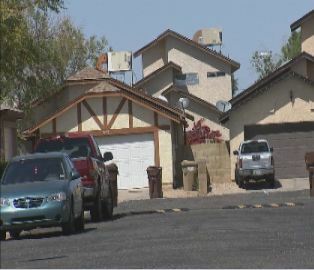 CBS 5 News reached out to Preferred Communities, the management company working with HOAs to require the crime free lease addendum in their neighborhoods. “Preferred Communities is an HOA Community Management Company that fully supports Crime Free Resolutions and participation in Crime Free Programs by Homeowners Associations.